Trigger Finger is a form of tenosynovitis which results in the finger becoming bent in towards the palm of the hand. This can also occur in the thumb known as trigger thumb. There is no specific cause but a variety of factors are detailed below which can make the condition more likely, including gaming and texting! The treatment depends on the severity of the condition and can range from resting to surgery. Symptoms of trigger finger include pain at the base of the finger on the palm side. The finger will be more stiff and painful in the mornings. There may be tenderness when touching the area and a lump called a nodule may be felt at the base of the finger. The fingertip will be constantly bent at rest and the patient will have difficulty straightening it. Diagnosis can usually be made via observation of the symptoms, however, in some cases, an MRI scan may be used. Triggering of fingers (and thumbs) is associated with competitive sports in particular golfers and tennis players. However, these days is it particularly common in young people playing games consoles, texting and has been termed ‘Blackberry thumb’. Tenosynovitis is an inflammatory condition of the sheath that surrounds a tendon. 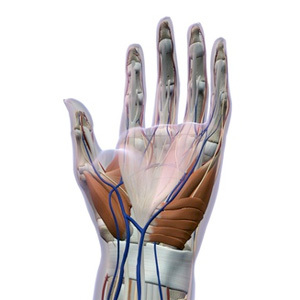 As the tendon passes through the wrist into the hand through a channel or tunnel there are rings which hold it in place. When the ring becomes tight and inflamed the tendon cannot pass through it properly. This causes the finger to curl inwards towards the palm and the tendon may also click as it moves. The condition is usually worse in the morning with the finger stuck down into the hand and extremely difficult to release. It can also be associated with diabetes or rheumatoid arthritis as well as being an overuse injury and has also been known to come on for no apparent reason at all. Females over the age of 40. Previous injuries to the finger. Repetitive movements of the hands or long periods of gripping. Those with rheumatoid arthritis are more at risk. Treatment initially is conservative in approach with a wait and see what happens the first line of defense along with rest, ice, anti-inflammatory medication, finger splints. If this is not successful and the condition really is bad then a corticosteroid injection is considered. In the vast majority of patients, this is successful if only for a period of time when the condition will return. Too much steroid can damage a tendon so doctors will only inject a tendon once and once only. If the trigger finger has recurred or the injection was not successful in the first place then surgery consisting of an open release is performed. It is a small operation that can be done under local anesthetic or general anesthetic which means the patient can be in and out of a hospital in a day, although a window of a couple of weeks off work is required to allow time to heal. However, immediately after the wound has healed the patient can get back to keyboard activity and normal activities. It is usually possible to move the finger quite soon after surgery. This helps to prevent it from being stiff. Rehabilitation involving hand exercises using putty and therapy balls helps maintain full strength and movement. Surgery involves a release of the tendon. This means the tissues over the top of the tendon, which form a tunnel through which the tendon passes, are cut to allow the tendon to move more freely. Mr. Elliot Sorene MBBS FRCS (Tr & Orth) EDHS Consultant Orthopaedic, Hand & Upper Limb Surgeon talks about Surgery for Trigger Finger.